Homeowners and occupiers need ensure they have a plumber to call for check up purposes when they feel that something is wrong in their plumbing system or they have a plumber emergency. For emergency situations, homeowners or occupiers should also know where to get emergency plumbers that can do the job well. No one truly knows what can happen next to their plumbing system at anytime. Owners of apartments, big and small houses, and even dorms need the services of a emergency plumber to check on their toilets, drains, hot water system and kitchen pipes regularly. People who want to save on plumbing try to do the job by themselves, but when they break something or have done it incorrectly, they decide to call a qualified emergency plumber. This always costs the person more. At the very start, if you think you can’t do the job well, especially if you’re a first-timer, it’s wiser to let a plumbing professional do it for you. It can be very dangerous to perform plumbing wok yourself. At anytime, a faucet could leak in your home or a clog could happen in your bathtub. When you can’t close the faucet anymore and the water keeps flowing, it’s time to call an emergency plumber. Close the main line while the emergency plumber is still on the way. When there is a damaged pipe somewhere causing water leakage. Keep in mind that this is not a DIY job because you’ll have to replace the pipe perfectly with a new one, without creating a leak in connecting both ends. 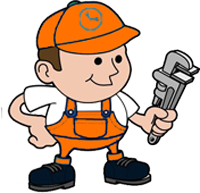 Moreover, a plumbing company has special tools to do the job. For mounting or fitting of needed equipments to create proper functioning of your sewage, natural gas, and water connection systems. When you have a problem on leaking fixtures like sink, drain pipes, sewage, and other leaking fixtures. You need emergency plumber for installation and maintenance of new piping system or fixtures. Especially, if you want your heating system installed, fixed or maintained. Instances where your hot water system no long works and you are now having cold showers. Oh boy! Finding an expert emergency plumber may not be as easy as you think. You can find a lot of them out there, but finding the best one may be difficult. Ask referrals from your family and friends, and search the Internet. When you have short-listed a few plumbing companies, check on their background, previous clients and prices. Make sure that you only get trusted and reputable people to work inside your home. Read online reviews from their clients. The best method is to get in touch with a professional plumbing business such as Melbourne 24 Hour Plumbing, Mr Plumber Sydney, Mr Plumber Perth or Geelong 24 Hour Plumbing.